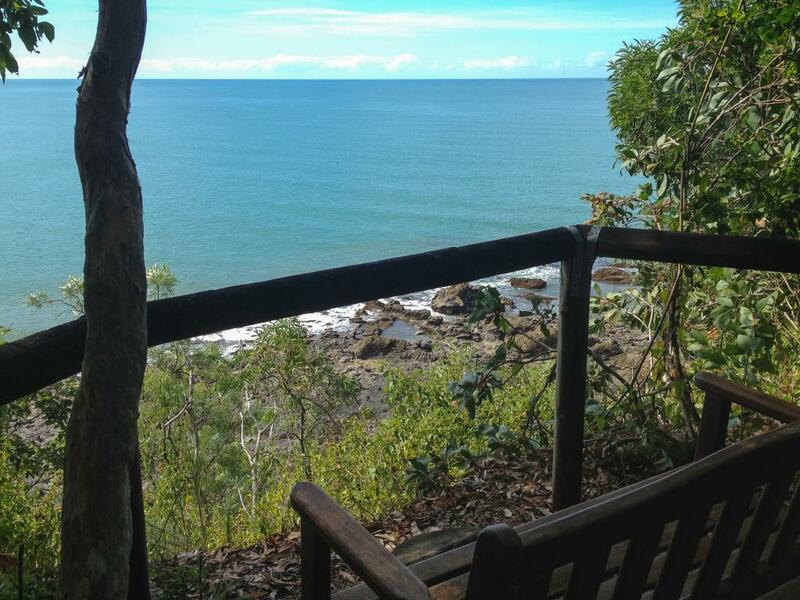 Thala Beach Nature Reserve is a private and tranquil resort, built on a rocky ridge surrounded by tropical rainforest, eucalyptus woodlands, creeks and mountains that plunge into the sea. 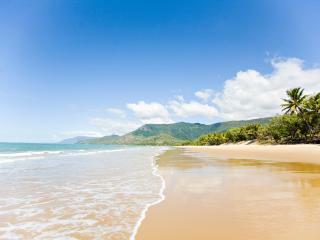 This Port Douglas accommodation brings you closer to nature and opens your eyes to the natural beauty surrounding you. Thala Beach Nature Reserve is situated on 145 acres and fronts a spectacular and private 2 kilometre sandy beach, looking out to the Great Barrier Reef. 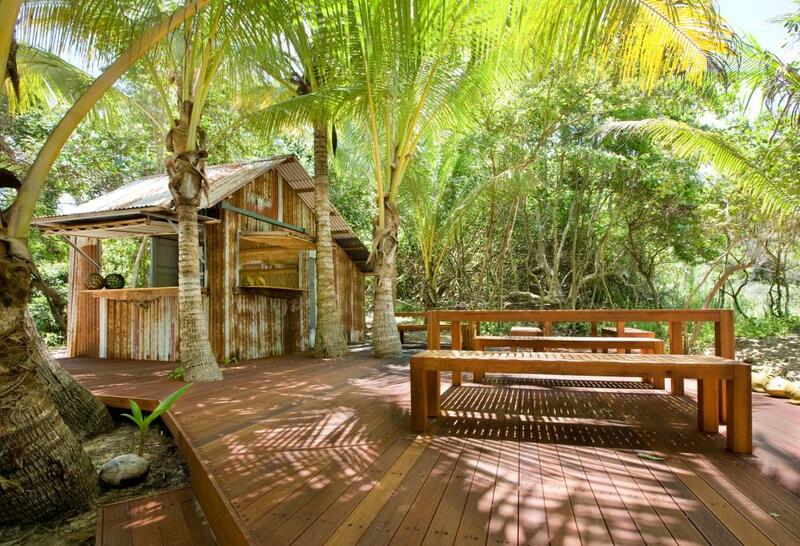 The Lodge is located at Oak Beach 15 minutes drive from Port Douglas, and reached by a scenic 45 minute drive from Cairns airport along the scenic Captain Cook highway overlooking the Coral Sea. There are a range of bungalow and suite style accommodation to choose from, all have been built on stilts to take advantage of the views and cool sea breezes. All rooms offer private balconies which are a great place to retreat to at the end of each day, just relax and taken in the stunning scenery and listen to the birds. 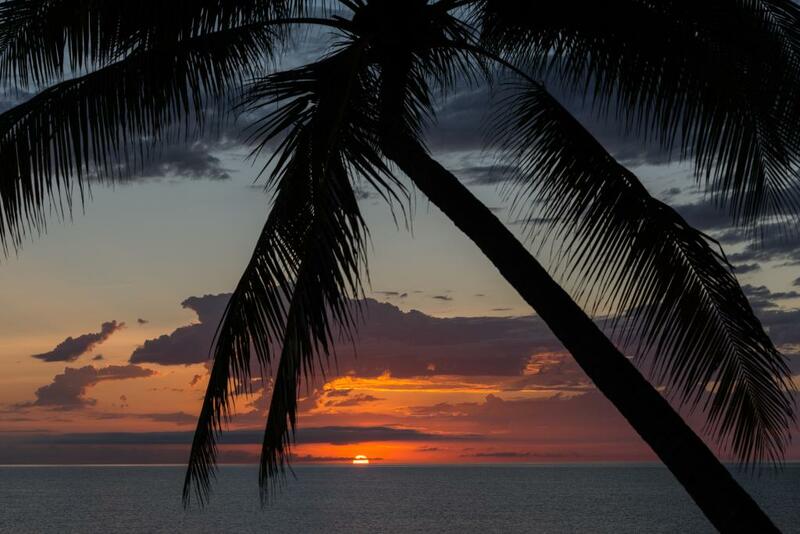 The Coral Sea Bungalows offer amazing views out to the ocean, you may even be able to see a dolphin or two swimming through the ocean. 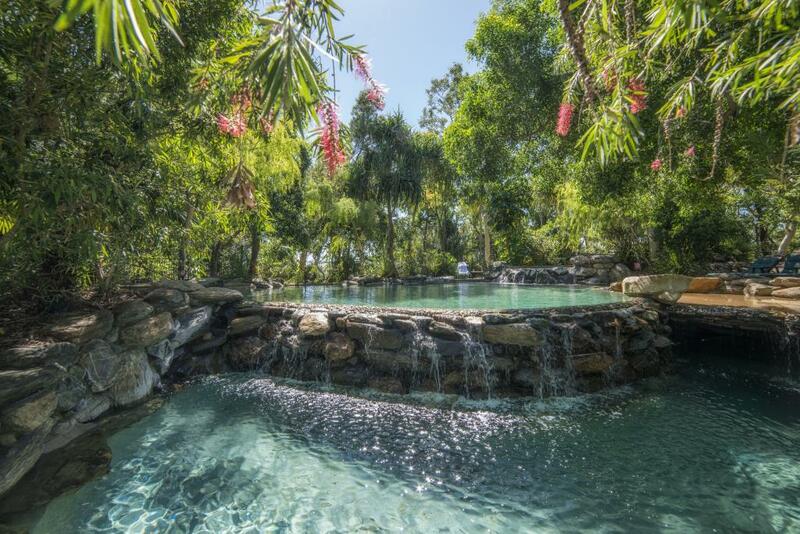 This Port Douglas accommodation has plenty to offer in terms of facilities including a restaurant and bar, swimming pools, massage services, boutique, art gallery plus much more. 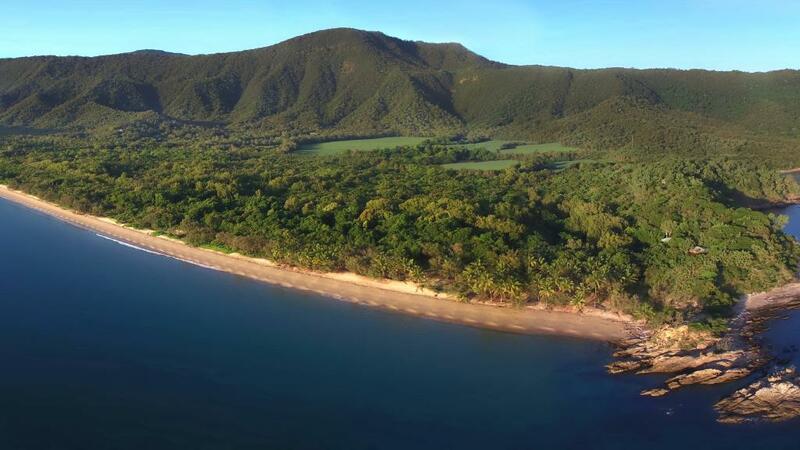 If you are looking to explore the Great Barrier Reef & the Daintree Rainforest then Thala Beach Nature Reserve is a perfect choice for couples. 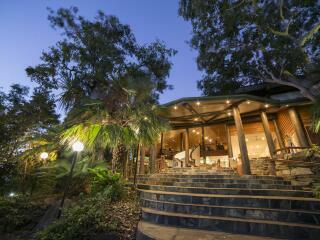 The bungalows are individually built on high timber poles, nestled among the naturally existing eucalypt forest. Take in the view from your private veranda or relax in the air-conditioned comfort of your room, generous windows allow you to enjoy the tropical surroundings in comfort. 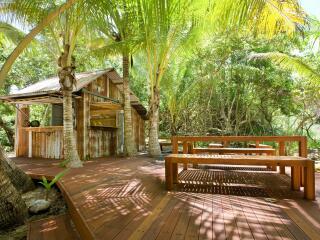 Jungle Walk Bungalow: A low-set bungalow located deep within the forest. Bedding is 1 King Bed OR 2 Single Beds. Maximum room capacity is 2 Adults & 1 Child. 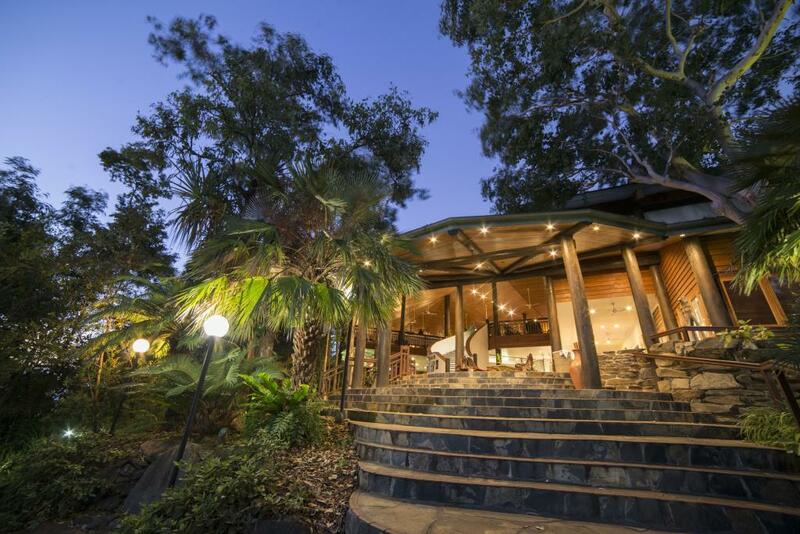 Eucalypt Bungalow: Privately located in the rainforest encompassed in the natural world. Bedding is 1 King Bed OR 2 Single Beds. Maximum room capacity is 2 Adults & 1 Child. 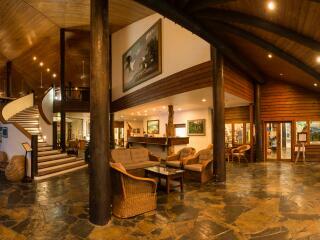 Coral Sea Bungalow: Features stunning views out to the ocean and built high on timber poles yet tucked into the landscape. Bedding is 1 King Bed OR 2 Single Beds. Maximum room capacity is 2 Adults & 1 Child. Sandpiper Suite: Perched on the headland and offering amazing views of private beaches and the Coral Sea. Features separate living area and expansive outdoor deck. Bedding is 1 King Bed OR 2 Single Beds. Maximum room capacity is 2 Adults & 1 Child. 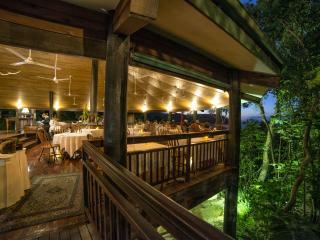 Ospreys Restaurant: Enjoy fine food surrounded by uninterrupted views for 110 kilometres. 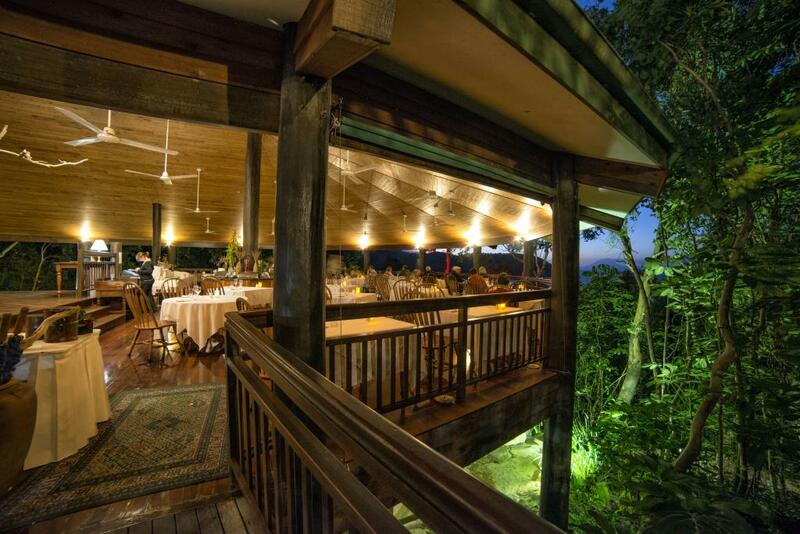 Dine among the birds in the surrounding treetops. 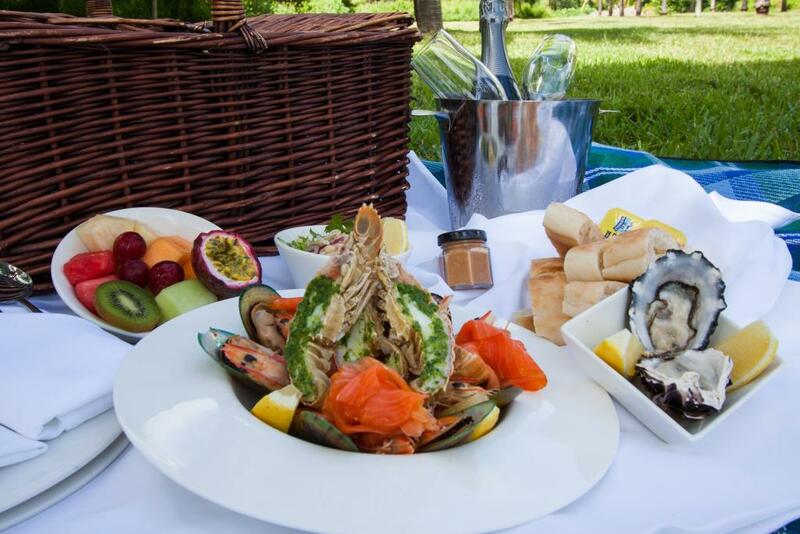 Experience the tastes of the tropics surrounded by its splendour. 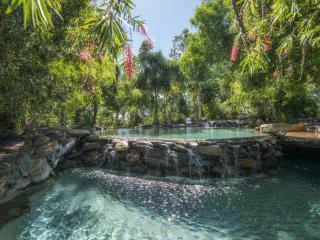 A remarkable vista studded by Coral islands, reefs and mountain ranges. Masked Plover Cocktail Bar: The Masked Plover bar is open throughout the day and evening for your pleasure. Overlooking our pool and the majestic expanse of our coast and rainforests. 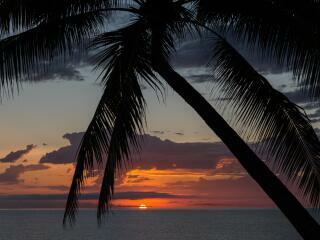 Beach Shack: An alternative and quirky dining venue in which to watch the sun go down. 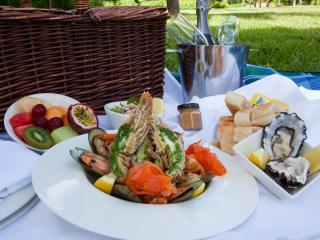 The Beach Shack will operate on selected evenings in conjunction with the Ospreys Restaurant offering a la carte dining.